Well, the kids are older and it's time Doggie Game got an upgrade. That's right folks, we now have character sheets and the kids made them themselves. You Grognards are going to like these character sheets cause they are small, two-sides-of-a-post-it-note small, in fact. That's just how I roll, folks. I like a character sheet that can be filled out and used with only 15 minutes till bed-time! Character generation was 3d6 in-order and your doggie needs a name and your doggie darn-well needs a portrait! Well, the two little mongrels got started wandering in the middle of the forest when they ran up against the biggest, meanest lion they ever did see! Boobie tried scaring the lion, but hes not very smart and he didn't manage it. Pooka, on the other hand, chose deception and pretend to be a baby lion. She rolled well, despite having a Brains of 1, and pulled-off the scheme. The lion took her away from the aggressive doggie and put her in it's cave. When it went off to bring her food, she snuck away. Re-united, the doggies were still lost in the forest. They decided to look for a big friendly bird to take them home. After this well-laid plan was executed successfully, they found their home locked and them without a key. After some searching they found a key and opened the door to find...their mother who scolded them and put them to bed! Player: A lion? Yay! We get to roll our dice now! 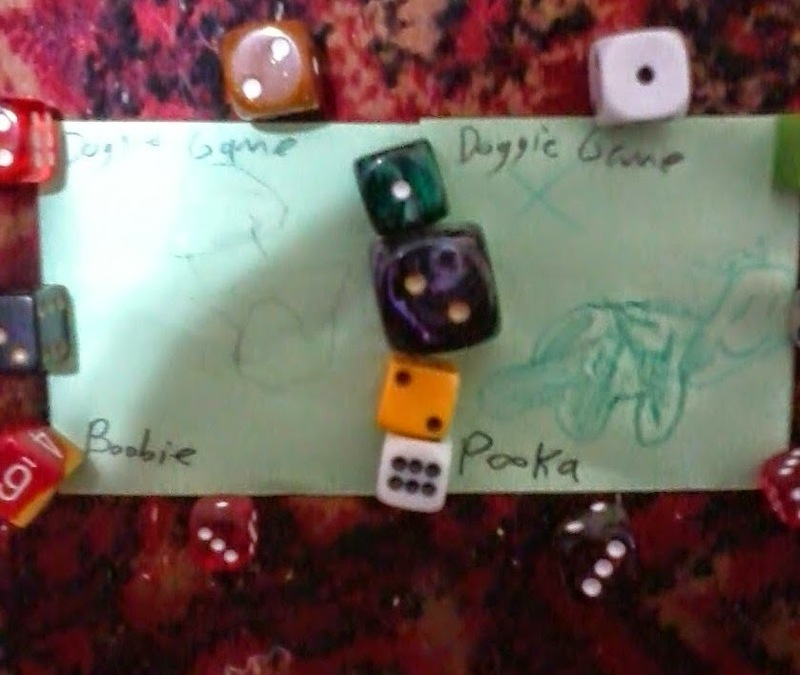 DM: First tell me what your doggie does and then you'll get to roll your dice. Player: Please can we roll our dice first? DM: No, you need to tell me what your doggie does first. 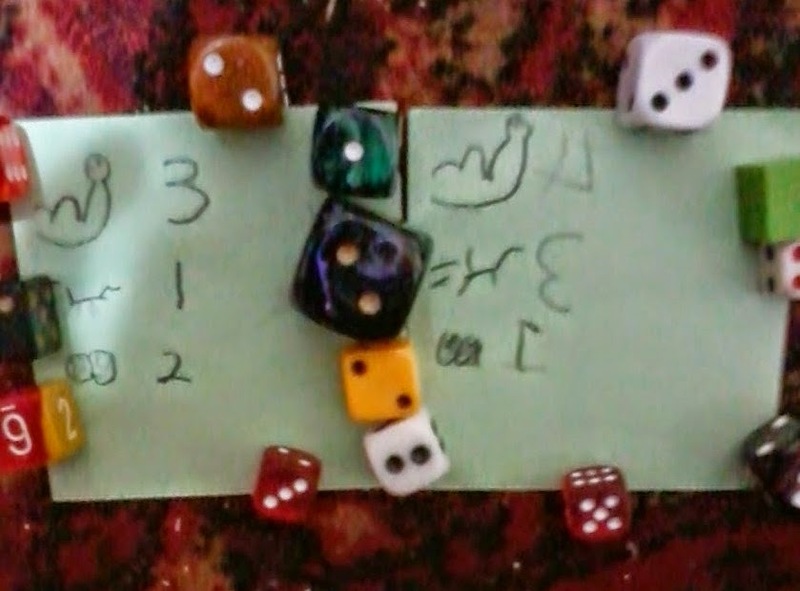 Player: But I want to roll my dice! DM: JUST TELL ME WHAT YOUR BLOODY DOG DOES!